On Tuesday I shared a savory scone recipe from the Think Tasty archives and noted that the majority of the scones that I make are sweet. That obviously is true since I haven’t created another savory scone recipe in the eight years since that recipe was first published. As I tend to make scones at breakfast, I guess my family and I typically crave sweet items in the morning. For this new recipe I’d like to take full credit, but I can take only 75 percent of the credit. 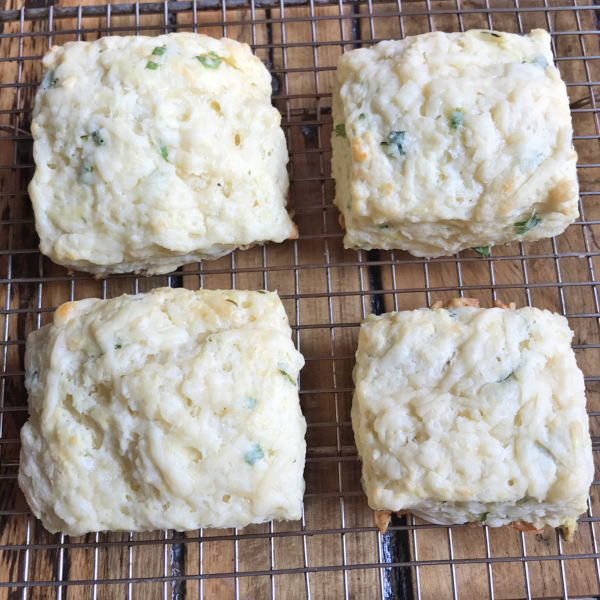 My husband gets the other 25 percent, as he forwarded a recipe for a blue cheese biscuit. I liked the idea but not the ingredients, which set this recipe in motion. 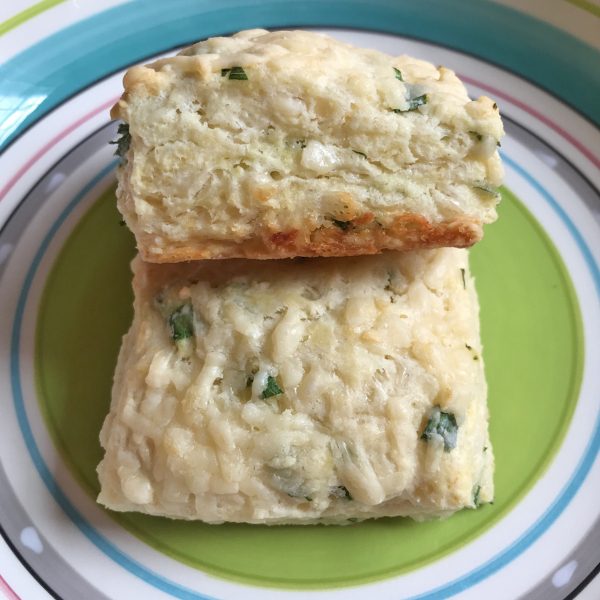 What ingredients could I use that would make a cheesy baked good, specifically a scone? 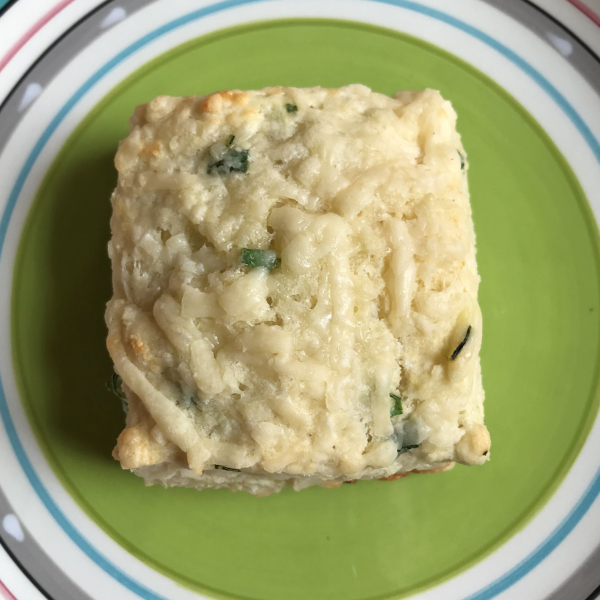 My original savory scone incorporated parmesan, so this recipe needed a different cheese. The obvious choice to me was cheddar cheese. If you buy sharp cheddar, it will deliver a nice amount of flavor without needing too much else to accent it. However, I also knew that cheddar on its own wasn’t enough for a scone. That’s where the chives come into play. They offer brightness and a mild hint of onion. It really rounds out the scone without being overwhelming. Like all of the scones I make, these are best eaten the day they are made. The truly ideal way to eat them is within minutes of them coming out of the oven. Slightly warm and incredibly tender, there truly is nothing else like them. Unlike all of the sweet scones I make, I think these could almost be more versatile. Yes, they could be served as an accompaniment to a plate of bacon and eggs, but they also could pair nicely with a bowl of soup or a salad. Whatever the occasion that has you trying this recipe, just be prepared to be wowed by a delicious, savory baked good. Whisk buttermilk and egg in a 2-cup liquid measuring cup or small bowl. Stir in chives and 1-¾ cups cheese. Place dough on a lightly floured surface and press into an 8-inch square. Brush top of square with milk and sprinkle with remaining ½ cup cheese and a pinch of sea salt. Transfer squares to rimmed cookie sheet. I make my own buttermilk by combining 1 tablespoon lemon juice and adding milk to equal 3/4 cup.